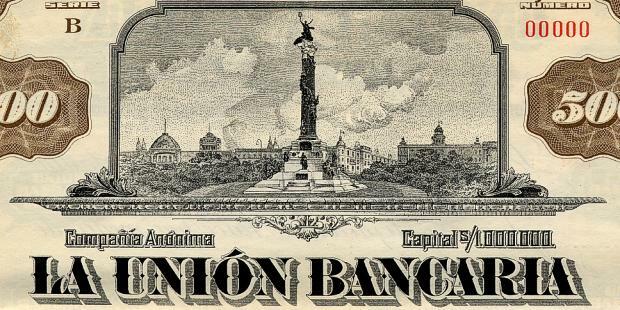 Beautiful engraved specimen certificate from the La Union Bancaria . 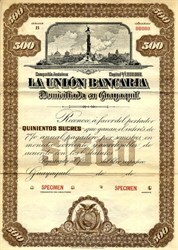 This historic document was printed by American Bank Note Company and has an ornate border around it with a vignette of a statue. Coupon attached on right side.